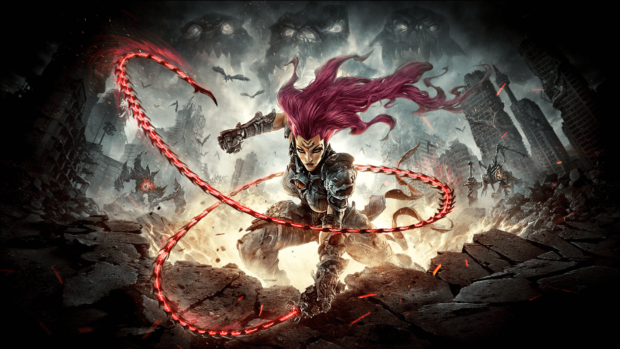 Darksiders series is popular for combining the puzzles element in hack ‘n slash. 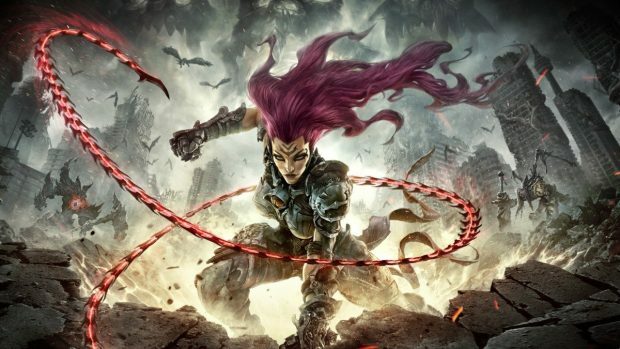 In this Darksiders 3 Puzzles Solutions Guide, we will cover all the puzzles we could find. Of course, we might be missing some, but we will be sure to add them as time goes by. 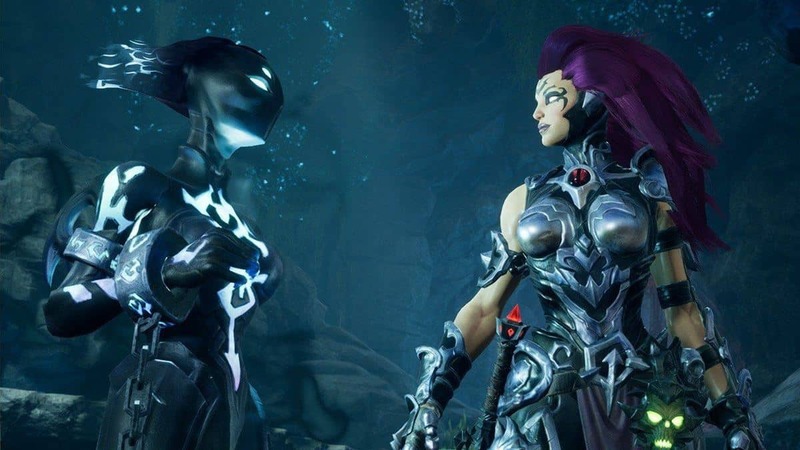 Darksiders III has some of the weirdest puzzles in any game, and THQ Nordic did tease these puzzles around a lot. Of course, the game is still not what y’all expected, but some of the puzzles in the game just are not very easy to solve. Our brave adventurer Arslan was stuck on one of these too, spent several hours and finally rage quit. We do not want other people to quit, just like Arslan, so we have crafted a mega guide on all the puzzles that can be found in the game and how to solve them. 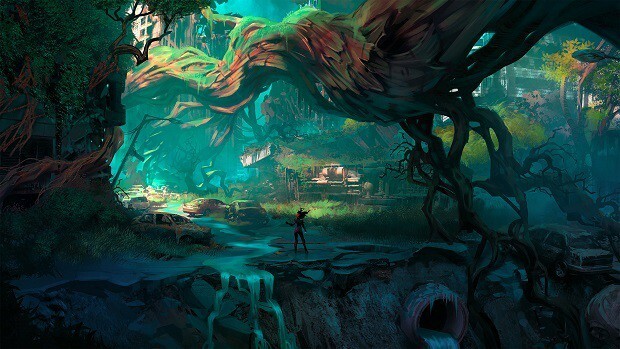 Of course, our guide will be as concise as possible, to make it easy to read for you: our friends and fellow gamers. The most common type of puzzles in the game are the Web Puzzles. 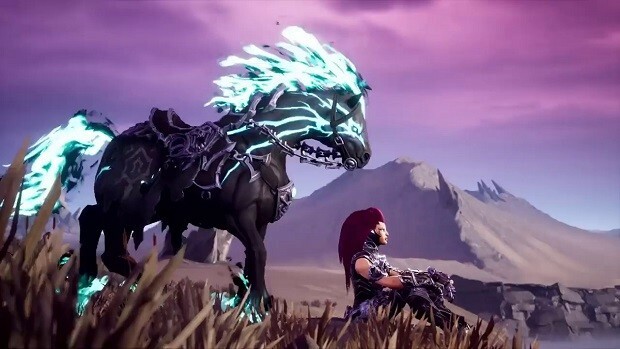 There are quite a lot of paths in the Darksiders 3 world that have been locked out by these colored webs that are apparently resistant to anything except extreme heat. We will be discussing these methods briefly and some of the puzzles that might be a bit confusing in the Web Puzzles genre. Flaming Goo is basically some sort of lava stored up in a bag of corruption? I dunno. Uh, Flaming Goo is the easiest to approach method and you do not need to complete any tasks, unlike the other Flame Hollow Form method. Find an insect, grab it. Find a Flaming Goo bag/pod. Destroy it. Throw an insect at the Flaming Goo and it’ll eat some of it. Grow big enough. Shoot the filled up shiny insect towards the web. Shazam! Its open. Do note that in the Splintered Station’s Web Puzzle, the Flaming Goo will not be in the normal red color. Instead, it will be colored purple. No other difference should be noted in that puzzle. You can obtain the Flame Hollow From from Lord of Hollows. 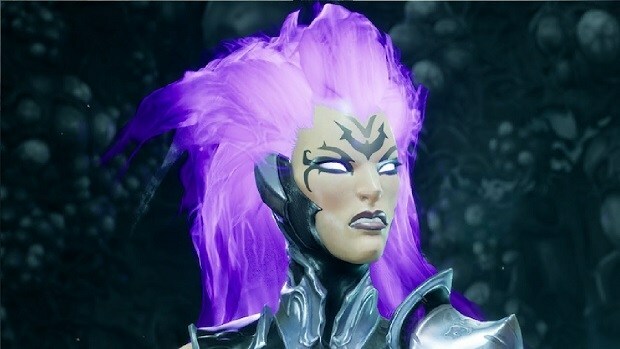 Once you obtain this form, you can easily raze these webs to the ground, with just the click of a button. Press your secondary attack button while having the Flame Hollow equipped and facing towards webs. That is it. Isn’t that fun? There is a weird puzzle end in the Crossroads portion of the Haven area. I would call it a fake dead-end because that is what this is. Anyways, you can use the Flame Hollow form to burn it down, but that might not be very much possible this early in the game. You can use the ‘Flaming Goo’ method here. A bug will spawn in this very same area and will chase you down without really trying to hurt you. Find a Flaming Goo bag on the ceiling, shoot and destroy it. Flaming Goo will drop down on the floor. Throw the insect towards the Flaming Goo and it will eat it up like its Scooby Snacks. Pick the shiny Flaming insect up and throw it towards the web. This puzzle is also called the Splintered Station’s Red Web Puzzle. There are two web walls in here and are blocking the path in conjunction. You must destroy both web walls at once, within an interval of no more than a few seconds. If you fail to destroy any of the walls in a small interval, the other wall you destroyed will regenerate. To fix the problem of regeneration, try to find two insects in the room. You can find one near the wall, while the other one should be somewhere close-by. The pressure-sensitive platform that you will be stepping on. Step 1: Find your moth – He will probably be wandering in the world. Step 2: Find the lamp – The Lava Goo should be hanging on the ceiling. Shoot it to get your lava. Step 3: Throw your moth at the lamp. It should fulfill its purpose. Step 4: Pick your lamp-moth and put it on top of one of the webs. Step 5: Run towards the pressure-sensitive platform and stand on it. Step 6: Wait for deez explosions. Step 7: Voilà! 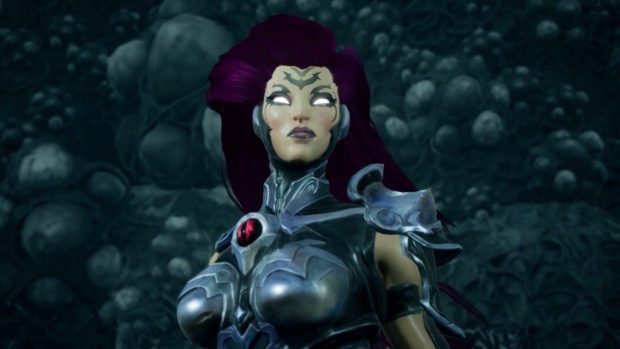 If you timed it right, both the webs should be destroyed by now and you will be able to proceed further in the game. 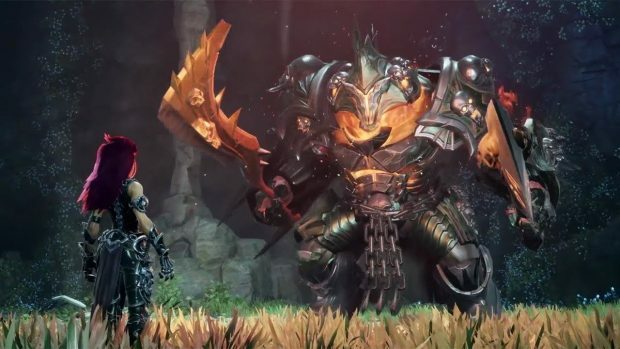 Our Darksiders III Puzzles Solutions Guide is a work-in-progress. We will continue to add more puzzles in the coming days.